Why Do You Need Follow Up Service for A/R & Medical Claims? Account receivable (also known as A/R) is a term used to denote cash owed by organizations for practices and services rendered and billed. Any payments from payers, patients, and other guarantors are measured as A/R. 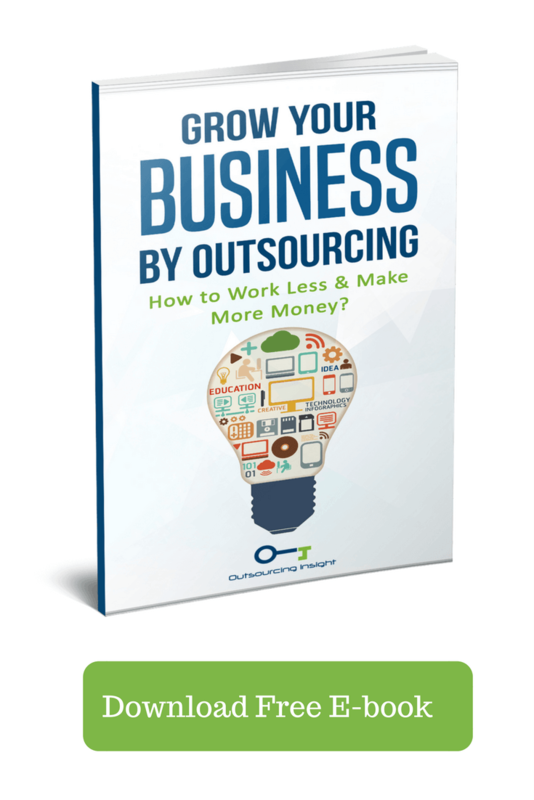 A goal of every organization is to make sure that it gets’ paid correctly and in a timely manner. An upsurge in A/R from a one period of time to another is a clear indication that amounts are not getting collected upfront, as they should be. This can result in cash flow complications in case it is not corrected. Even more, the sum of services provided by hospitals, physicians, and nursing homes altogether are constantly increasing. Every time patients receive medical care and treatment; they owe a certain amount to the hospital or physicians. An efficient insurance model assists medical group in recovering their overdue payments from the insurance carriers’ smoothly, and on time. This is where A/R (accounts receivable) follow ups come into play. They assist healthcare service providers in running their practices smoothly and successfully while making sure the owed amount is refunded back to the hospital in the shortest time possible. Why Is It Necessary To Have Account Receivable (A/R) Team for Healthcare Services? The accounts receivable follow up team in your medical practice will be in charge of looking after denied claims and reopening them to attain full reimbursement from the insurance companies. Revenue cycle and Medical Billing A/R management handled by in-house staff is now a thing of the past. Nowadays, these tasks demand billing specialists with a dedicated skill-set to look after your organization’s A/R follow ups. You ought to note that along with account receivables, there are numerous other imperative procedures such as payment posting, verification, and charge entry that need to get completed first. Amidst these processes, a medical billing professional determines the exact diagnosis code and procedure code based on the treatment plan. There are likelihoods that the insurance company might deny claims in case they do not abide by the rules, and for that reason, it is vital that you have a devoted A/R staff that can follow up with the insurance company and resolve all your denied claims. The 3 Phases of Medical Billing A/R Follow Up. Initial assessment of medical A/R follow up. Analysis’ and prioritizing medical A/R follow up. Collecting the maximum of medical A/R follow-up. Phase no 1: Initial evaluation of medical A/R follow up. This phase is all about identification and evaluation of all claims listed on the aging report. The team reviews the provider’s adjustment course of action from which they’ll identify which claims need to get adjusted off. Extra claims might be identified as soon as the evaluation of “timely filling limits” is conducted. Phase no 2: Analysis’ and prioritizing medical A/R follow up. Proficient analysts initiate this second phase by identifying the numerous issues of claims that are marked as uncollectible or for claims where the insurance carrier is yet to pay according to its contracted rate with providers. The appeal/filling limits of the key carriers will be checked and, even more, the “claims submission address” will be reviewed for the claims’ so as to reach the ideal processing unit. The team also affirms that “clean claims” get reimbursed in accordance with the contracted fee schedule. Phase no 3: Collecting the maximum of medical A/R follow up. Based on the team’s findings and analysis, claims identified to be within the appealing/filling limit of the insurance carrier get refiled, validating that all the needed billing information (such as claims processing addresses and other medical billing rules) are accurate. Any claims that have surpassed the filing limit of the insurance carrier, as well as the claims that seem to be underpaid by the insurance carrier, are appealed with the essential supporting documents. Appeal processes vary widely depended on the plan, state, and insurance carrier. The processes are applied and collected on claims that are being appealed. Claims are then electronically transmitted directly to the insurance carriers whenever possible, and for the other carriers, claims are forwarded via clearing houses and aggressively followed with the insurance carrier for confirmation. After implementing all the above and posting payment details to the outstanding claims, patient bills are then generated according to the client guidelines and then followed up with the patients for payments. They are responsible for studying and analyzing denied claims as well as unfinished payments. Even more, in case any claim is found to bear any coding error. The team corrects this particular error and then resubmits the claim. The team on the other hand constantly communicates with the patients, insurance firms, and healthcare service providers and take necessary actions based-on their responses or feedback. The skills and quality of services rendered by the team eventually assist in determining the overall financial health of the healthcare practice. 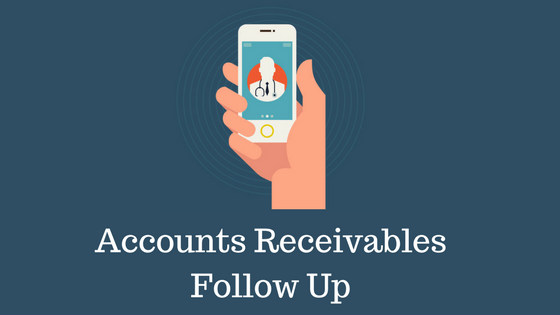 Six Reasons Why A/R Follow-up Is Essential In Medical Billing Processes. The prime challenge most firms face in the medical billing procedure is A/R follow up management. So, why is it essential? Below are numerous reasons' to enlighten you on some of the well-known reasons. 1. In case the claim was never received. One of the biggest delays in payment is resulted by the claim not getting filed. In simpler words, the claim wasn’t received by the insurance firm. This normally happens after paper claims get lost or misplaced somewhere along the way before they are delivered. To avoid such blunders, it’s wise to send claims electronically if you can. In case the claim has not been followed up on quickly, it could be weeks or longer before your firm realizes that the insurance firm never received your claim. For paper claims, let 10 business days pass prior to calling the insurance firm to confirm whether the claim was received. 2. Helps the organizations in recovering overdue payments. A/R follow ups assist all nursing homes, physicians, hospitals, etc. in recovering the late payments without a hassle. When the healthcare provider has a team that can constantly involve itself in the claims follow up procedures, it becomes stress-free for the health care provider to receive payments in a timely manner. 3. Ensures financial stability of the healthcare provider. The financial stability of every healthcare provider highly depends on maintaining a healthy cash flow. The hospitals and physicians need to maintain a secure flow of revenue to cover expenses and provide the needed patient care services effectively; the A/R department makes sure that all this is taken care of. 4. Reduces time for outstanding accounts. The main objective of every A/R department is to reduce the amount of time that accounts are permitted to stay outstanding. The team tracks accounts that haven’t been paid yet, evaluates an appropriate action required to secure payment, and then goes ahead to implement necessary procedures for secure payment. 5. Denied claims can be followed up. Dependent on the denial reason, you can actually send out a new claim request with all required corrections before you even receive the paper denial via mail. By contacting the insurance firm and enquiring why they denied your claim rather than waiting for your paper denial explaining the reason through the mail, the A/R team can make sure that all claims get corrected as fast as possible. Resubmitting the claims up to 7 days earlier instead of waiting for the mail will undoubtedly reduce the turnaround time for your payments. The bottom line here is, granting yourself a head start on your denied insurance claims so as to get all claim processes moving again. 6. Recover Claims that are kept pending for information. At times, claims will be kept pending for a certain duration of time as a result of additional information needed for the respective member. By executing a proper follow up, the A/R team can notify the member regarding the situation so an appropriate action can be taken and the entire process is sped up again.